May 24-27. 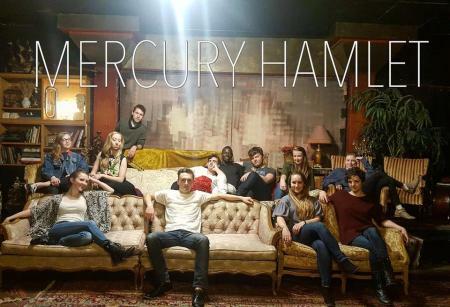 Mercury Hamlet is performed, just about anywhere, in just about 90 minutes, by an ensemble of ten actors prepared for just about anything. Mercury Hamlet is performed, just about anywhere, in just about 90 minutes, by an ensemble of ten actors prepared for just about anything. Watch as the ensemble, in front of the audience, draws cards to determine which of ten roles they will perform when the play begins. Conventions around age, gender, race and type are irrelevant, as actors and audience are caught up in the remarkable excitement, electricity, storytelling and energy that is Mercury Hamlet.